Indian Ngos List Directory |Ngo, Societies, Trust, Co-operative society, Section 25 Company. Below are the list of States in our NGO Database, Select the state of the NGO you are searching for and then select the city . Ngo is actually a Non-Governmental Corporation that may be fashioned by a gaggle of non-public people, registered less than the Modern society Registration Act of 1860 and regarded by governing administration for accomplishing many of the capabilities or allotted do the job on behalf of presidency. This is the pretty one of a kind and casual variety of arrangement produced by the federal government whereby the federal government extents the assistance, aid and authority to the non-public system to accomplish many of the do the job of your governing administration on behalf of it. We can easily so declare that a NGO is usually a system accomplishing sure obligations of your governing administration which can or is probably not funded via the governing administration. The things to do of your NGO's are predominantly welfare things to do which can be of assorted styles. Occasionally the things to do assigned into the NGO are administrative also. The NGO is greatly useful for the registered trusts in addition as societies in India which accomplish these types of do the job. The federal government is a lot more anxious with regard to the compliance of your many norms similar into the grants to generally be specified into the modern society as well as utilization of your resources via the NGO. India Ngos Directory is the one of the Free NGO portal which contains the list of the NGos in India that are listed by indian Government. India NGOs List is a national level Network of Non Governmental Organisations (NGO Database), Non-profit Organisations (NPO), Voluntary Organisations and Social Organisations, Socities. 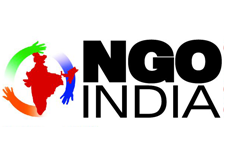 In this India NGOs List Directory almost all NGos are listed from all over India. Presently India NGos List.com is offering a web-based web NGO directory and NGO resources of Indian NGOs. All of the NGOs enlisted within this website aren't recognised and aren't members of our network. We're updating the data about the NGOs and we're verifying the recognised NGOs and providing their info on certain terms. The NGO portal is containing details about grassroot level Non-Governmental Organizations (NGOs), Charitable groups (NPOs), POs, GOs in India, Funding Agencies, Social activists and concerned stakeholders, Volunteers, Volunteer service organisers, Social issues, NGO Funding Projects, NGO job opportunities in social sector, testimonials of people along with organizations, along with other relevant information and resources. India NGOs Directory continues to be analyzing the internet identity by the Webpages of the NGOs to improve them and share their knowledge about other NGOs, groups and persons of society. This identification might help the NGOs as funding agencies, supporters, volunteers to locate them to support the enlisted NGOs. We also listed the complete details of the Charity and contact detail of NGOs which helps them by bringing the persons who helps nby donating the funds to them . India NGOs List is committed to all types of Ngo services like Aged Elderly, Children, Civic Issues, Differently Abled, Disaster Management, Dalit Upliftment, Education and Literacy, Environment and Forests, Health and Family Welfare, HIV AIDS, Human Rights, Legal Awareness and Aid, Land Resources, Micro Finance SHGs, Right to Information and Advocacy, Rural Development and Poverty Alleviation, Tribal Affairs, Vocational Training, Womens Development and Empowerment, children care, child labour prevention, sustainable development and human rights. The right to communicate freely is a basic human right and a necessity for sustainable development. Access to information is essential to informed decision-making at all levels. India NGOs List is committed to the dissemination of information and promotion of sustainable development initiatives, in response to the needs of under represented and marginalized sectors of society. For bridging the data gap and improving information availability NGO network is committed to develop and establish an ideal medium for the Participation and exchange of a trusted and accurate source of quality information. India NGOs List is an website portal of All india Ngos Database for required resource materials, information and all kinds of knowledge-based documents for NGOs. India NGOs List provides resource material where NGOs will find various options and opportunities to get helpful and authentic information. Combined with the resource material, India NGOs List provides direct support which help for NGO Registration, NGO Management, to find to get Funding and financial Projects. India NGOs List guides and supports to obtain funds for all kinds of Social development issues. On the online resource center, NGOs and their associates can find database and information about the funding schemes of Government ministries, Government departments, public sector units, Indian Funding agencies,Internation Funding foreign Funding agencies and support groups.